In this video tutorial we will show you how to define photoshop brush. Launch the Adobe Photoshop. Go to the “File” menu, press “Open” and choose the image you want to make brush of. 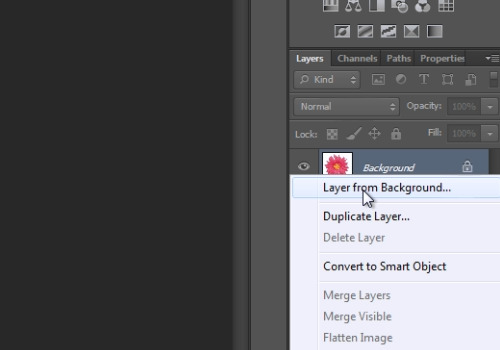 Right-click on the “Background Layer” and choose “Layer from Background”. In appeared “New Layer” window, press “Ok”. Then select the “Magic Wand Tool” from the toolbar. Click on the empty area in your image. Press “Delete” key to delete unnecessary image area. Choose “Lasso tool” from the toolbar and unselect the image. 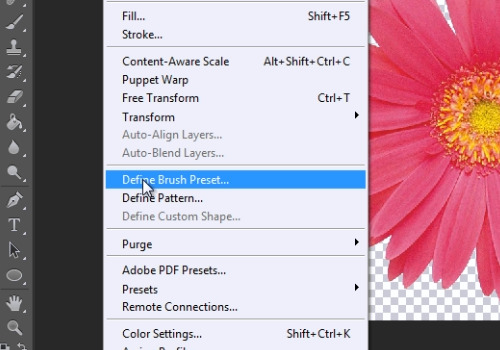 Then go to the “Edit” menu and choose “Define Brush Preset”. On the “Brush Name” window, type name for the new brush and click “Ok”. Close the image. Go to “File” menu, press “New”. In the appeared window select settings and press “Ok”. Choose “Brush tool” from the toolbar. From the “Brush tool” menu select newly created brush. Adjust the size of the brush. 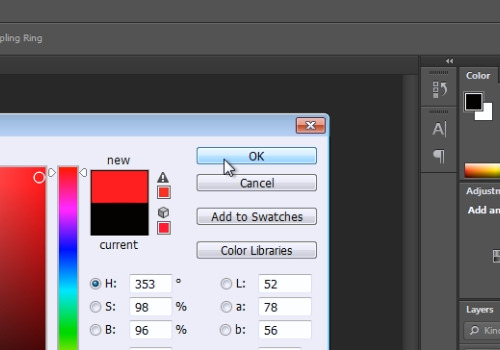 Click on a “Color Picker”, select the color and click “Ok”. Now test newly created brush.